Our first LEGO Star Wars Trivia Challenge was published recently, testing your knowledge of the Star Wars theme. More than 6500 participants have submitted responses so far and almost 150 people received full marks! An additional twenty multiple choice questions have been compiled for the second challenge. They might be slightly more difficult than the first selection. Look out for further trivia challenges on Brickset very soon. 9. 5 down from last time. It did feel a lot tougher, well done Brickset. Didn't look up a single thing this time, and indeed the questions are harder this time around. Based on my performance on the first one, I decided to skip the formality of actually taking the quiz and just pick "C" for all of them. Then there were two that I just couldn't bear to pick C because I knew C was wrong, so I picked D.
7 out of 20. Which isn’t bad considering 19 of my answers were guesses! Holy crap, that was awful. I know a lot about LEGO Star Wars, but I was guessing, and the ones I took total guesses on I managed to get right and the ones I thought on were the ones I got wrong. But you know, I know more with the older sets. Anything after 2014 and it gets rough. I got a lot wrong... but I was just happy I got the one on specialized blaster rifles right. I remember when they came out and they released images of those battle packs in what I think was a gaming magazine. I looked at that magazine all the time, waiting for them to release. I am also happy to know that I at least knew enough about all of this to give educated guesses to the questions... though those guesses were often wrong. 7/20 Wow... mostly guessed my way through this. The questions are really hard nuts. 8/20 on this one bit gutted as last time i got 12, but a few were tricky so i guessed, Do a marvel or Dc comics quiz next i, ll be better at that lego.. Dropping from 17 on the first one to 15/20 with only 3 questions with help from the Internet (I didn't know the Shuttle names, and also the clone items and finally 75144's fig name). Very very very hard questions! 8/20, two less than last time. The Insult on Hoth reveal/release delay is nuts. And what an anticlimax when it was released! 12/20 without looking up anything. And a lot of those were guesses! Definitely more of a challenge compared to the last one! I remember being very confused having an episode III Obi-wan, with the republic cruiser. I guessed on a ton... That was tough. I gotta say I really like these quizzes though. Out of curiosity, how long did it take to make this one? Questions 2, 5 and 9 were the only ones I was absolutely certain of the answers to, and I was fairly confident about 3. I guessed (and failed!) most everything else. @RC 1136 - Thank you. I have adjusted the wording of the question for clarity. @Master of Lightning - Writing questions is fairly easy but wording them correctly to avoid ambiguity is sometimes time consuming. 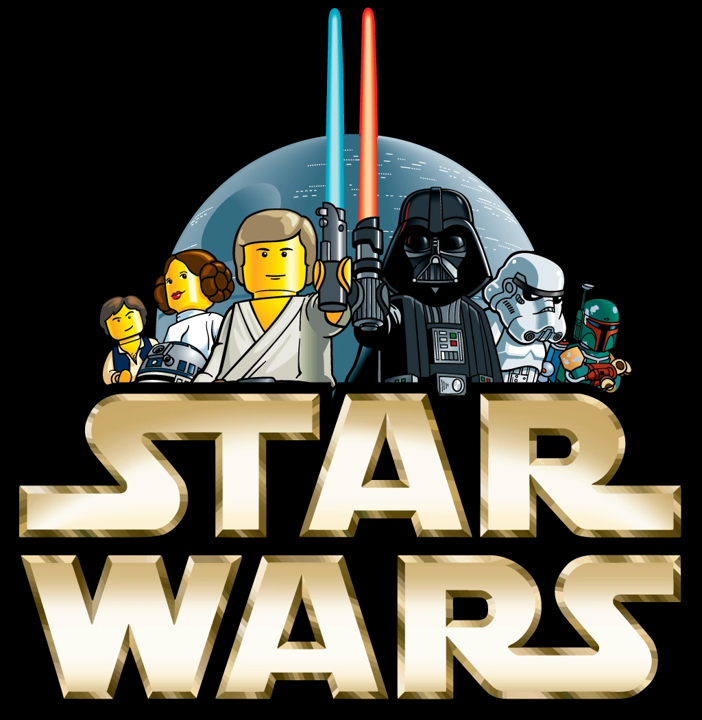 Nevertheless, I have already written plenty more questions relating to LEGO Star Wars as well as other themes. had not realised there were that many of the correct answer for question 19. I'm going to assume thats counting polybags and advent calendar models that I didn't think of at the time? Thanks for the reply. I had been wondering since some of these seem really obscure that one would only find with a ton of research outside of Brickset. 8/20 this time not as good but no looking up answers, I mean what's the point of boasting about your knowledge when you had to look at the answer because you didn't know. 10/20, 5 down from last time. It was fun though, thanks a lot for this! Only 6/20 this time. Ouch. 5/20, better than last time but still... ouch. This was fun, thank you! I definitely lucked out on some. 8/20. Ouch, especially when a couple were just lucky guesses. Knew most of the answers due to owner almost all of the sets mentioned, and made some educated guesses on a few by process of elimination. Having read all the reviews and announcements over the years here at Brickset was also highly beneficial! The two most difficult questions in my opinion were 'In which year were more than 100 different LEGO Star Wars minifigures released?' and 'How many different sentient species have appeared in LEGO Star Wars sets?' Got that last one wrong, didn't think it was that many yet! Looking forward to reading that coming article. Fun exercise in distraction. Keep 'em comin' Cap! 8/20. Ouch. Only knew the answers to three, the rest were lucky guesses. Yikes, only got 4 right this time... Much more difficult then the last one. I have to admit I only got 10, but I got plenty wrong by such a small margin - 11 sets with vulture droids in versus 10 sets with droidekas - ouch! (I answered droidekas by the way). Basically any multiple choice with numbers in I never seem to get right - I do much better with questions like “Which Jedi Council member...” etc. 9/20. The stupidest thing is, I remembered in my head all the other identical battlepacks so I put down that number. Yet I somehow forgot about the only one of them I own lol. 13/20, my score was somehow higher on this one than on the last one (which was 10/20). I vote the next trivia be on classic themes. This one was much harder. Thank you Brickset for these fun quizes! 5/20 OOF some of those were really obscure and relied on some guesswork. At least I knew the answer to the UCS question. “Slightly more difficult” this time?!? Great. For a guy who was lucky to get 5/20 on the first trivia challenge, “slightly more difficult” is exactly what I didn’t need. "A separate article providing a comprehensive list will be published shortly." Looking forward to it! I am humbled and defeated. Four correct answers. Utterly rubbish. Got only 8/20, with the first one 14/20. This time though, I guessed the last answer correctly. Ouch, only 4/20. Could have got up to 6 if I'd gone with my gut feeling in a couple but ah well. Much harder than the last one. Damn that was hard. Had a good idea for almost all of them but still ended up with 10/20. Really enjoy putting my pointless knowledge of Lego Star Wars trivia to the test (not kidding!). Was annoyed with myself for the battle pack one. Forgot about the Rebels Imperial troop transport. 16/20, especially the last four were difficult so I had to guess. 20/20 , just like last time! Lol I got 5 out of 20. Definitely less than I did the first time around. Still a great quiz though. 20/20 (got 16/20 last time). I didn't actually know all of the answers, I just guessed well. I would say overall the questions were more difficult, but the toughest questions were no harder than on the previous quiz. 7....I have shamed my family. But my family actually knows less about Star Wars, so I should be fine. Much trickier this time around! Went from 19/20 to 11/20. There's trivia and there's.... don't know what to call it but this is about a level of detail that's well beyond my knowledge and interest. Got 10/20 in the first one and that was with some lucky guesses. 8/20 this time. My complete lack of Star Wars knowledge appears to be improving! Another dozen quizzes and I'll be acing it! I have a LOT of Star Wars LEGO sets but my knowledge of the trivia was abysmal - I only got 5/20. I guess I should pay more attention to these things? Nah...had fun, though! 11/20 pretty good for making a few educated guesses and otherwise guessing in general. Much better than my previous 7/20. I had a few that came down to choosing between two answers and I picked the wrong one. A fun trivia game. Thank you Cap'n Rex!